Jason vegetarian and vegan beauty products have been around since 1959, and have developed a product line that is free of animal by-products, synthetic colors and synthetic fragrance. Additionally, Jason vegetarian and vegan beauty products website states repeatedly that they do not engage in any animal testing in the development of their products. 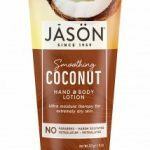 Jason is a brand that is owned by the Hain Celestial Group, a health company that focuses on natural and organic foods, as well as personal care products. Many are familiar with their famous tea, Celestial Seasonings. Other Hain Celestial products that many are familiar with include Rice/Soy/Almond Dream, Spectrum foods, Terra chips, Yves Veggie Cuisine, Avalon Natural Products, Queen Helene and Zia Natural Skincare. Hain Celestial is committed to Jason and their other brands being green in production. To that end, every facility they own, including their corporate offices and warehousing sites, have adopted procedures to continually audit their recycling, waste reduction and energy conservation practices to ensure they are being as efficient as possible. Jason vegetarian and vegan beauty products are infused with a mix of plants, flowers, roots, herbs, minerals and vitamins. 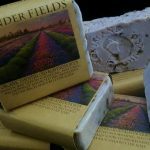 Stating that they believe that the planet gives us everything we need to care for ourselves, they continually strive to create new products that are natural and earth-friendly. Jason include hair care, oral care, skin care, body care and baby and children’s products. 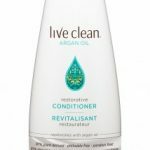 Their hair products include gentle, everyday shampoos and conditioners, as well as treatments for dandruff. They also feature styling products such as hair lotion and thickening spray. Their extensive skin care line features a bounty of products such as body scrubs, face creams, beauty oils and moisturizers. One of their most popular skin care lines is their Ester-C line. Ester-C, containing Vitamins C, E and Alpha Lipoic Acid, is natures perfect cocktail for fighting the appearance of fine lines and wrinkles. The Ester-C line contains toner, moisture cream, cleanser and their famous “Vita C Max” serum, which is a quick-absorbing product to give you a high dose of antioxidants. For those who are lotion junkies, Jason will not disappoint. Their extensive lotion line has something for everyone! 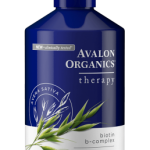 They carry hand and body lotions, as well as hand and body therapy lotions for those with especially dry skin. 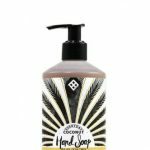 Their body wash line includes delectable scents such as cranberry, lavender, chamomile and mango & papaya. For more information on Jason vegetarian and vegan beauty products, and to take a look at their huge product line, take a look at their website. You can visit their online store, or check out their product locator to see which store nearest you carries their products.